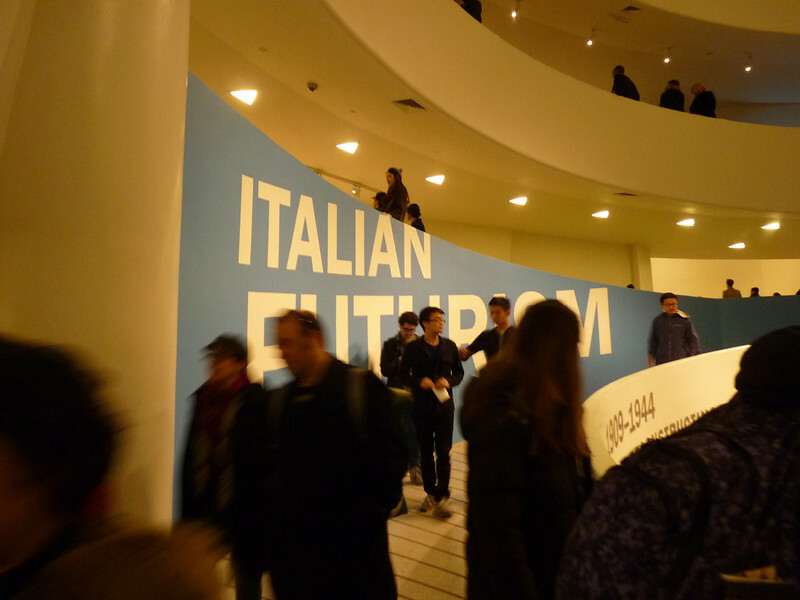 The exhibition shows that even when "Futurism" is extended to 1944 it was a movement without a future, simply because its idea of the future was to extend the trend of the present, in this case the onrushing mechanization of labor and of consumption, in fact all of social experience. So futurism adopted the mechanization of society by imitating it so extensively that its works became more and more dehumanized, and thus removed from the heart of human art, which is always the heart and bodies of humans. This is abstracted the emotions from art even more effectively than abstract art, resulting in a horrible sterility and ultimately amounting to nothing more than design, and so misguided that viewed from the perspective of the 21st Century, it all seems inherently ugly and leaves the impression of something distasteful and alien.